Wall recognition defined: A structure, which has words and images and with the intent of recognizing individuals. It may have other inscriptions such as dates, quotations, and pronouncements. 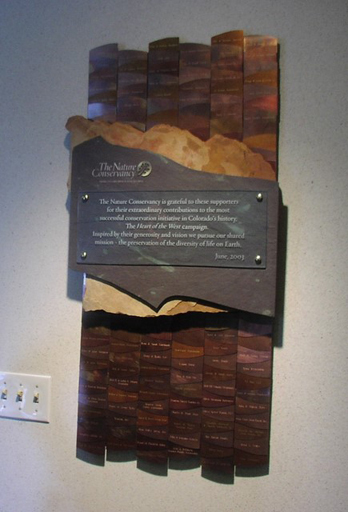 Interior wall recognition is usually placed in a lobby, conference room or entryway of a building. Haertling.com recognition walls serve a dual purpose of the functions as stated above, and as an artistic wall treatment to add beauty to an office environment. For more information use the Order Form link on each page.